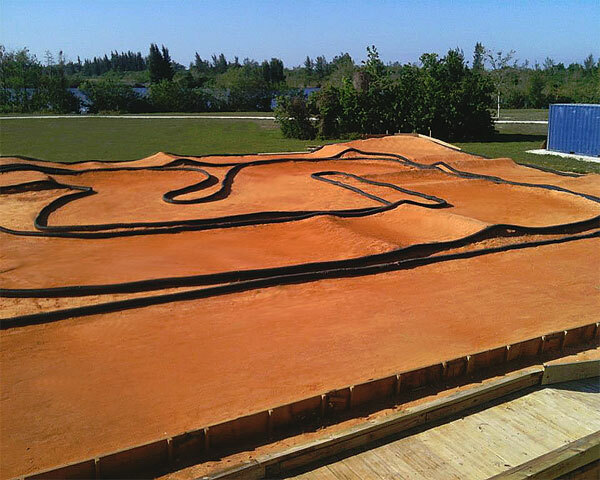 We are off to Delray Beach, FL where we will find this weeks Featured Track, Delray Off Road RC. The track is roughly 125 x 75 and made of hard packed clay. The track accommodates 1/8 and 1/10 scale, Nitro and Electric vehicles. This place has a great story to it and one we hope to replicate here in Halifax. Once the County donated the land to the club, the track was then built by club members. Track maintenance is financed by Annual Membership dues, Weekly race dues and Donations from members and the community. This is a great success story and job by Delray Off Road RC.